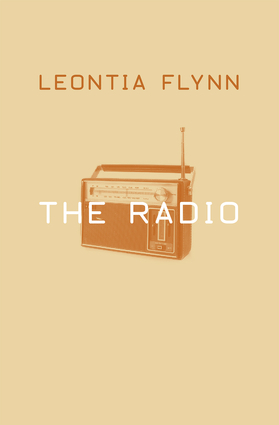 In The Radio, Leontia Flynn exercises her signature wit, formal inventiveness, bitter irony, and unique blend of vernacular speech and literary allusion. In the title poem, the radio is a portal from the outside world, piping "explosive news" of the Northern Irish Troubles into the poet's childhood home, her mother constantly turning to "field the blow" from her children's ears. The first two sections, "The Child, the Family…" followed by "…And the Outside World," are titled after the classic book on child development by D.W. Winnicott. These poems relentlessly test the boundaries of home and family life as the poet remembers childhood scenes, mentors such as Seamus Heaney, old loves and friends, and the heightened moments of the past. The final section contains three dialogues: a low-flying strafe across the fields of gender politics; a climate change debate between a defender of the industrial abuse of nature for the good of man and the responding voice of nature itself; and a satire writ between a weary mother of grown children and the Awesome Voice of the Internet. This is a volume about transmissions that sometimes assault us and sometimes help us escape, signals breaking through from outside in, from past to present, from parents to children. As the "glazed God's-eye / of the transmitter" keeps watch over home, the city, and the "fanciful list" of people who inhabit these spaces, we are made aware, and made wary, of the constant intrusion of technology and the broader concerns of the world. These formally inventive and superbly controlled poems balance Flynn's trenchant observations with a deeply sympathetic understanding of her subject. Leontia Flynn was born in County Down, Northern Ireland. Her previous poetry collections—These Days (2004), Drives (2008), and Profit and Loss (2011)—have won much acclaim, including the Rooney Prize for Irish Literature, the Forward Prize for Best First Collection, and the Eric Gregory Award, as well as being shortlisted for the Whitbread Poetry Prize and the T.S. Eliot Prize. Flynn earned her Ph.D. from Queen's University Belfast, and she has written a book on the poetry on Medbh McGuckian. Flynn was given the Lawrence O'Shaughnessy award for Irish poetry in 2013 and the AWB Vincent American Ireland Fund literary award in 2014. She lives in Belfast and currently serves as the poet-in-residence for the Bloomsbury Hotel in London.